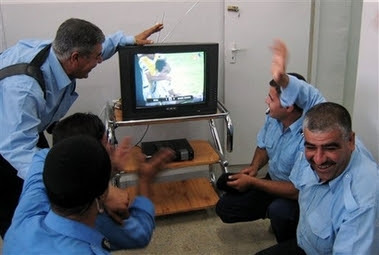 The Iraqi People united in celebration after their soccer team smashed Saudi Arabia in the Asian Cup today. 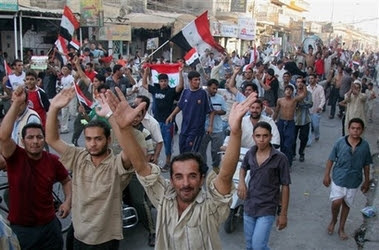 Although two terrorists set off car bombs following the semifinal win, Iraqis flocked to the streets to defy those who want only their death. BBC News says thousands flocked to the streets after the huge win, Video HERE. 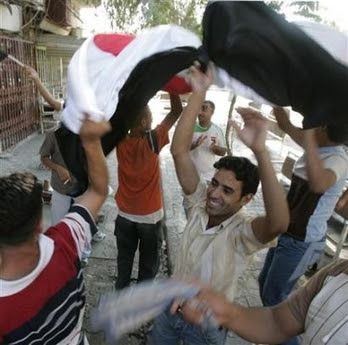 Five hours after I touched down in the Iraqi capital I found myself decked out in an Iraqi soccer team T-shirt, screaming my head off and dancing around the room like a madman with two dozen Iraqi colleagues in the Reuters Baghdad bureau. Now, strictly speaking, as a non-biased journalist, I was probably not supposed to pick sides in the Asian Cup final between Iraq and Saudi Arabia. But at the precise moment Younis Mahmoud, a Turkmen, climbed to head Kurdish team mate Hawar Mulla Mohammed’s flawless corner into the back of the net, I was a partisan Iraqi fan. Thanks to a stunning save moments earlier by Shi’ite Arab goalkeeper Noor Sabri, that single goal in the 71st minute was enough to clinch the Asian Cup over the much-favoured but clearly outplayed Saudi team. Several of my colleagues wept with joy. Everyone chanted, clapped, screamed and hugged, releasing the sort of emotion that cannot possibly be explained by football alone. 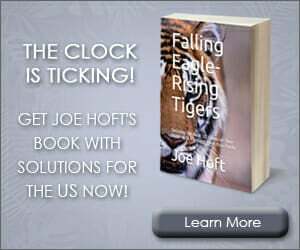 Twenty two minutes later, when the referee called time, gunfire erupted across the city as jubilant Iraqis — including some of the guards on our road — began firing into the air. 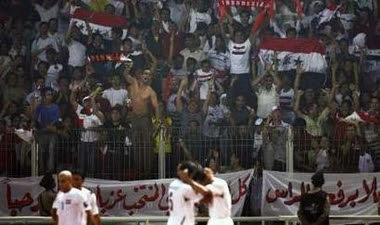 Terrorists Bomb Soccer Fans in Baghdad!